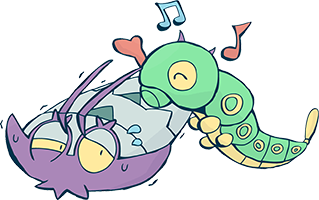 I'm not going to go into every little problem people have with the wiki as this thread is supposed to be about the Totland Arc. If your opinion doesn't agree with the community's, sorry, there's nothing I can do. And c'mon, Doflamingo was ancient history; we now have an "unknown" status for things like that, which was put to good use with Jack and all that. All of your posts sound like a McDonald's spokesperson answering questions at a press conference on why there were human fingernails in Big Macs for a week. McTotland actually does sound like something McDonalds would come up. Clearly something aiming at the children under 10 demographic. Either that, or a McMuffin with hashbrowns for buns. My favorite wiki mistake was when wadatsumi was first seen and ussop said it was a legendary creature and then the wiki took it as a reliable source. I gave up on the fools on the site after that. Saying that i love the wiki itself. The forum should just take their time and create their own wiki right here on the forum (sticky thread) and have the mods make the appropriate changes and what not. I know it takes time to create this sort of thing and we really don't have enough time but something like this will definitely benefit the fan-base in the long run. I think this is my favorite post of yours of 2016. As for the wiki as others have said it's good for tracking down a chapter number/title or a quick piece of info but it seems mainly composed of Mangapanda/mangastream readers that rush to the wiki as soon as a chapters out to update the wiki without waiting for the official translation/an accurate one to reference. People kept forgetting that the wiki is run by people, people are humans and we all make mistakes. That is why the wiki is a edit for free site where you people can go and change it. Yes some people over there are stubborn however that is how human nature is and what we should be doing is making discussion instead of going "screw you, i'm going home". Yes the wiki people makes many mistakes, however we all make mistakes and we all should stick together to fix it even if the people over there are stubborn. Sorry for sounding like a know-it-all, I'm only trying to bring out some common sense, you must understand that nothing is perfect, in fact if Arlington Park has it's own wiki; would you guys be 100% happy? You can't even make everyone happy. But believe me, I don't even like how they run the wiki, yet I kept going over there anyway to correct mistakes and make changes since October 2006 and yes; it was crazy however perhaps one day things will get better. Yet to hate a wiki over mistakes they made? We live in a country that made many mistakes. Well, I hope you all understand and that we can go back to discussing the arc again. Zoro's wiki cracks me up since the initial part of it just seems to be related to his fashion throughout various arcs. And c'mon, Doflamingo was ancient history; we now have an "unknown" status for things like that, which was put to good use with Jack and all that. At least that's a step in the right direction. But what's with characters like Vergo or Monet? Claiming them for dead is nothing, but pure fanfiction. It's just not how One Piece works. If I'm supposed to take the wiki seriously, I don't want to have fanfiction considered as fact. This arc is a combination of Oda combining the Happy-go-Disney themes we know with the very grim fairy tails that they originally were. Of course, maybe there's some creepy pasta and hallucinogenic art work as well. Guess the main power house in this arc will be Luffy / Jinbei / Sanji though. New recruit of allies from Big Mom's crew, bet Sanji's sister joins too, still needs more people. Gear 5? Or maybe Luffy's awaking happens here? situation as what happened with Sanji's plot back in Dof's arc right? Last edited by Luffyfan; May 28th, 2016 at 03:07 PM. LuffyxHancock or LuffyxNami? I can't decide. I doubt BM will be taken down through a fight. Lola's vivre card is still out there and it sure will be a very important piece in this arc since it was introduced 8 years in advance. At first I thought it could be used as a way to guide Luffy to BM once he found out she was Lola's mother, but Oda used Pekoms to get Luffy to her location. The only use I can see that thing having now is to mitigate any hostility BM could have towards him. 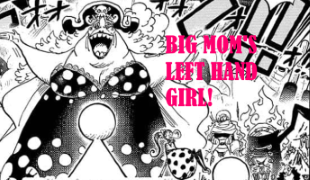 Do you think this will all end up as an elaborate plot of Big Mom to give her daughter's saviour a big thank you party? After a peek on Sanji's wiki, how come no one has edited his surname? If I am saying the vivre card will be used to make peace between BM and Luffy, then obviously I am not suggesting either of them already know the other's relation with Lola. That's how all the Strawhats are arranged. I think a couple other characters like Law and maybe Smoker have multiple tabs to their pages too. You don´t quote wikipedia on an assignment and you don´t quote OPwiki in here. Using it here and there to look up stuff quick on the other hand can be handy. Rules everybody should be aware of. Since it was said that Sanji was taken to Big Mom, I had been wondering if Big Mom would be defeated soon, but after seeing the last episode, I think that she's gonna be defeated, without half of the crew, just like Luffy defeated Doflamingo without half of the crew. I would not understand that after showing Big Mom, her islands, her territory, Luffy would only rescue Sanji and escape, only to fight her after fighting against Kaido. Since we do know that Kaido is stronger physically than Big Mom, I think she will fall first than Kaido, and that's why Sanji will have a great comeback, like Oda said. But what's with characters like Vergo or Monet? Claiming them for dead is nothing, but pure fanfiction. If you'd care to actually look at the multiple discussions on the wikia you see that's also the conclusion they arrived at. Calling it fanfiction just because you disagree with them is immature.